I was there on a Sunday for lunch and the food centre was unexpectedly quiet as some of the stalls were closed. I came specifically for this newly opened stall serving traditional stewed duck. 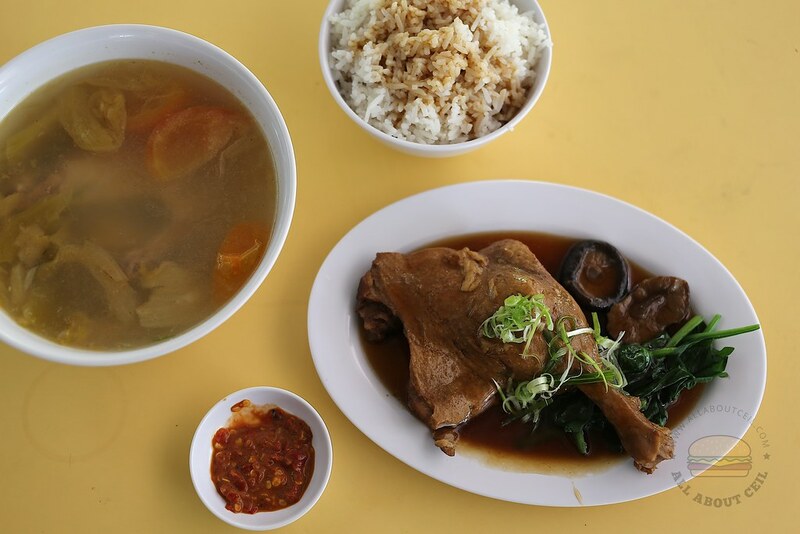 I decided to go with Duck Leg ($5.50), Salted Vegetable and Duck Soup ($4.00) and a bowl of rice ($0.50). There are also Duck Drumstick ($4.00) and Duck Wings ($3.00) available. The Whole Duck ($40.00) is available upon pre-order. While waiting, the lady asked, "You stay around here?" which I replied, "No". She continued asking, "Then, how did you know about us?" I said, "I came across friends sharing food pictures of your stall. And, I tell myself that I better come over quickly before the reporters and bloggers write about your stall." She laughed and said, "Now, you do not have to wait too long." 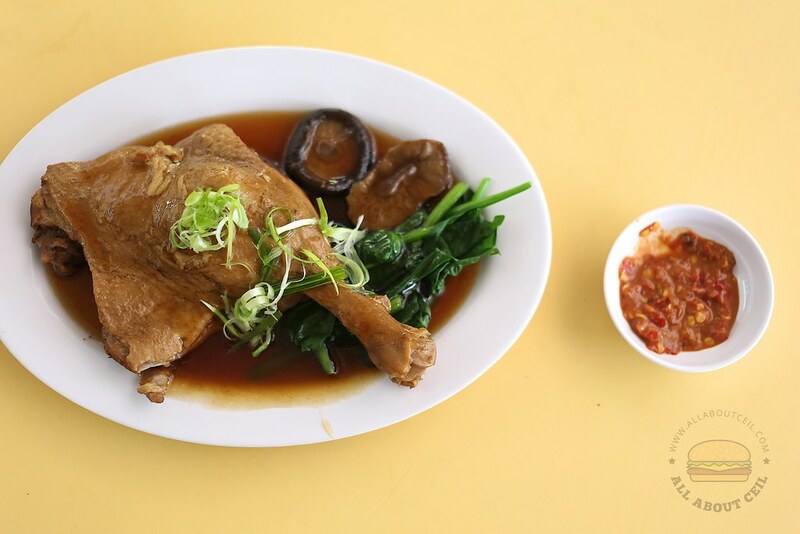 The Duck Leg came with 2 pieces of braised mushroom and a portion of spinach served in a pool of tasty braised sauce. The stewed duck was really soft that the meat has fallen off the bone effortlessly. This is a very homely dish and is quite different from the braised duck. It is done differently and tasted not quite the same as well, the flavor is generally lighter. 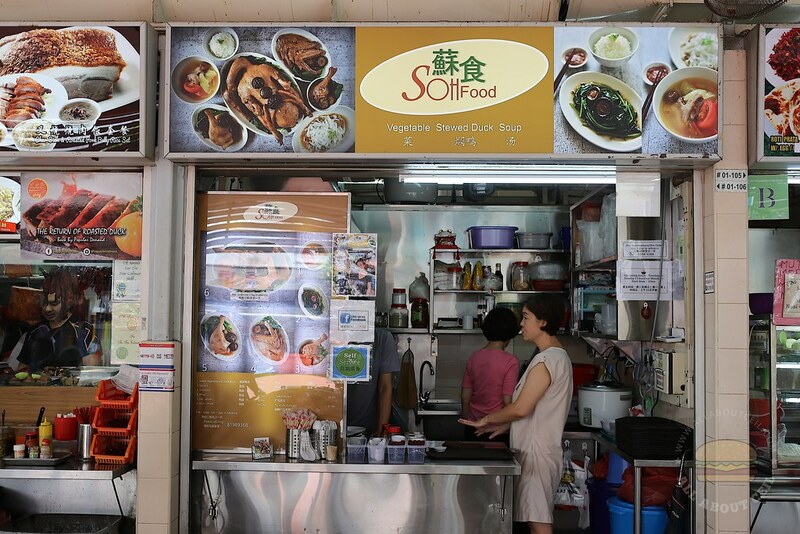 And, they are likely to be the only hawker stall in Singapore serving this traditional dish. 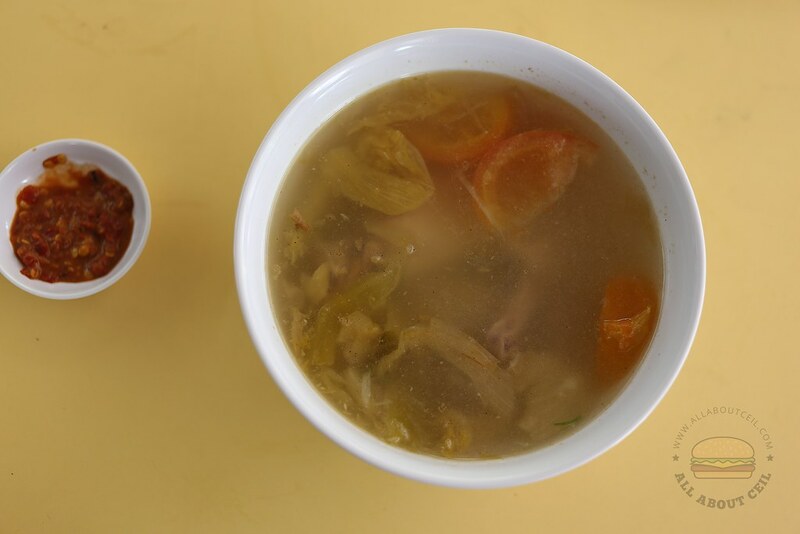 The Salted Vegetable and Duck Soup is a comforting choice. It consists of 2 pieces of duck wings with salted vegetable and tomato. The flavor is light, not too salty or sour and it is also not oily. My dining companion compared it with the same dish served by Hup Seng Duck Rice at Sin Ming and he liked their version but I actually prefer this one. 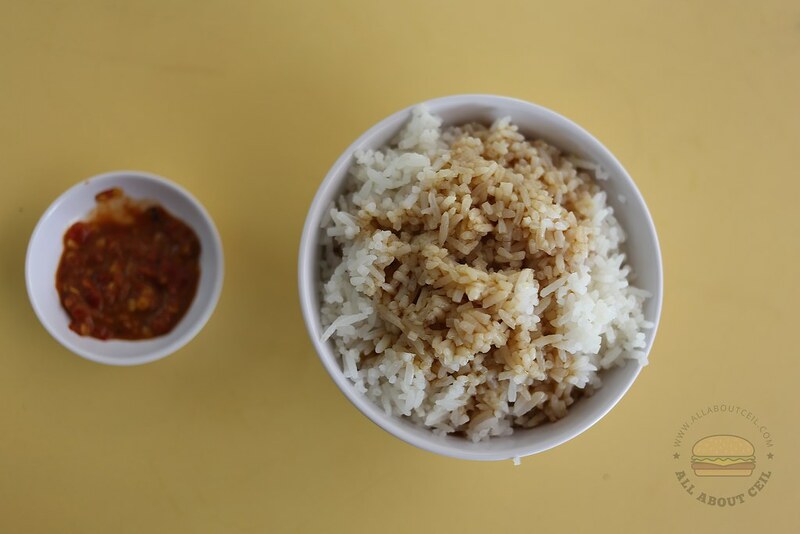 I was asked whether I want to have braised sauce drizzled over my rice. There is also an option to have it with kway teow. This is soothing, comfort food that brings back warm memories of eating with family. It's new right? I always frequent this place but have never seen this stall before. I'll go try out soon. This is a new stall and has been around for a month or so.